Yamaha legend gets the Supertech R worship treatment – and don’t they look ace? We’re not actually sure what boots Kenny Roberts Snr wore when he started racing dirt track back in the States, back in the day. But when he won his first world championship with Yamaha in 1978, he was wearing Alpinestars boots, with Dainese leathers. 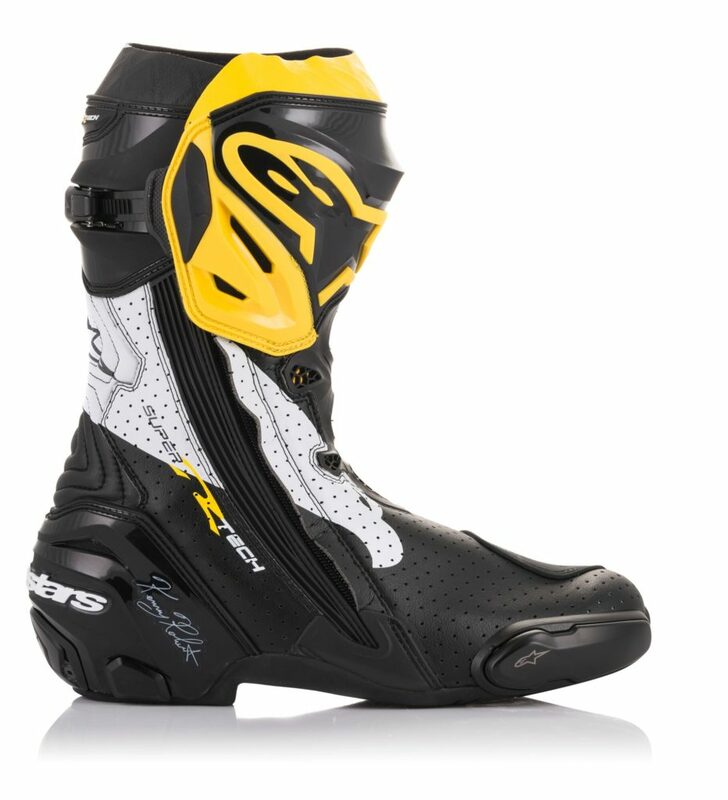 And now brand ‘A’ is celebrating their long partnership with the man by launching these rather tasty new Supertech R replica boots. They’re yellow, of course, to echo the speedblock paint job of his TZ500 and TZ750 racebikes, and also feature his eagle’s head motif. 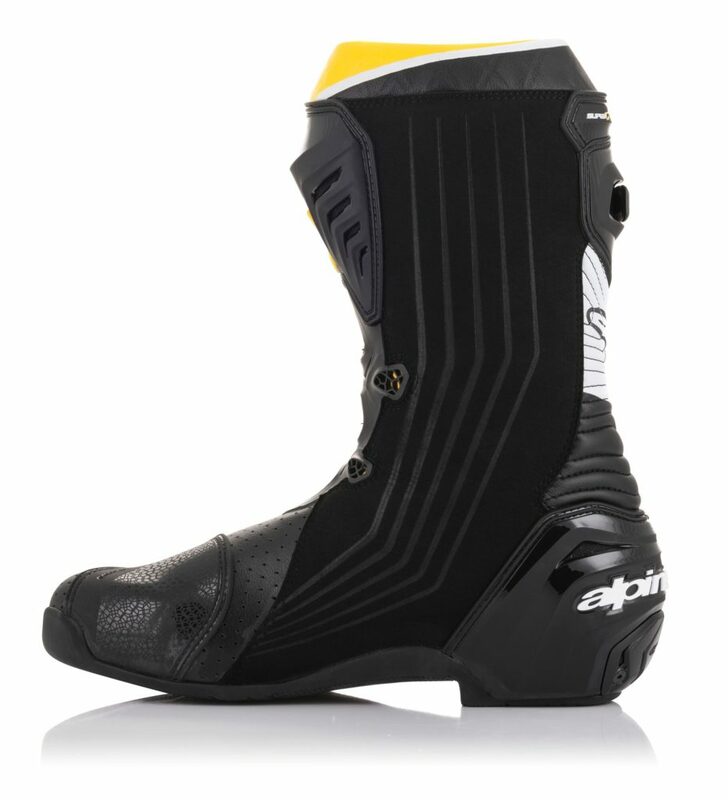 Under the slick colourway is Alpinestars’ Supertech R boot – the firm’s top-notch race boot, with separate inner protective boot and tough, protective outer. 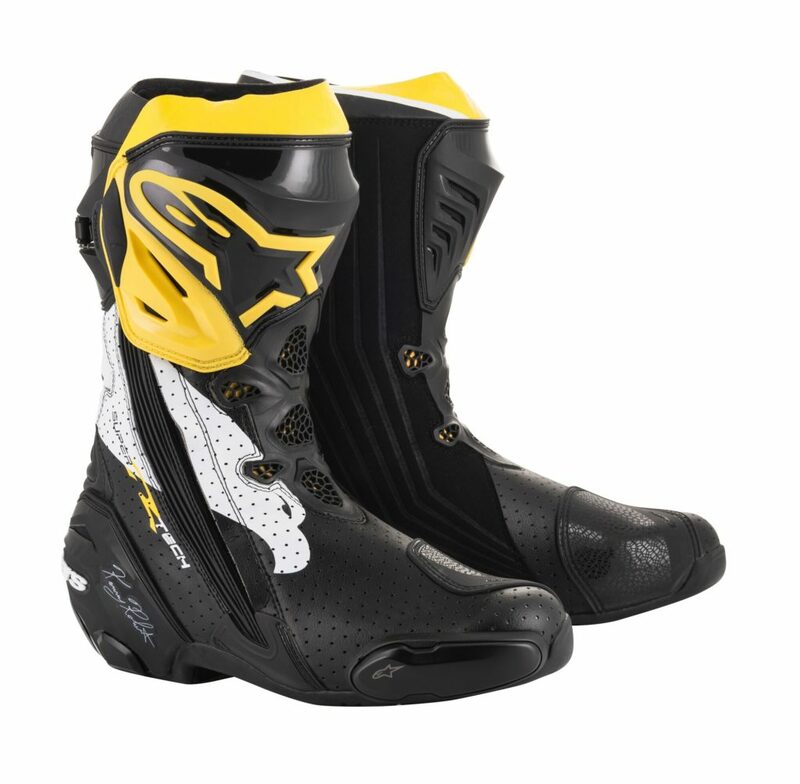 They’re excellent boots – comfy on and off the bike, and give proper protection too.